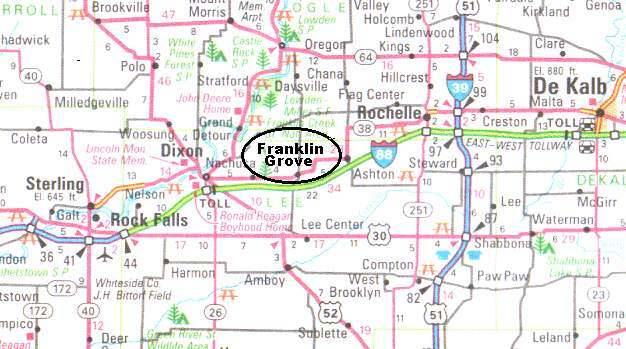 Franklin Grove is located approximately 90 miles west of Chicago on the Lincoln Highway (Illinois Route 38). If you are traveling on interstate 88 from the west exit at Dixon, or from the east exit at Rochelle and follow the map. Enjoy your stay and return often.